The Alpine Collection is broken into three parts: true alpines, chasmophytes and facultative alpines. True alpines are those plants found in high mountain environments above the tree line or in similar environments above the larger lowland vegetation. Chasmophytes are plants that dwell in rock crevices at any elevation. Facultative alpines are found below the tree line in alpine-like environments that are harsh, windy and cold. They mimic alpine plants in their growth habit to cope with these conditions. Denver Botanic Gardens has one of the largest alpine collections in the country and is home to the Plant Collections Network “Alpines of the World Collection.” Along with the large collection at York Street in the Rock Alpine Garden and Mordecai Children’s Garden, we have a large native alpine collection at our Mount Goliath site on the road to the top of Mount Evans. 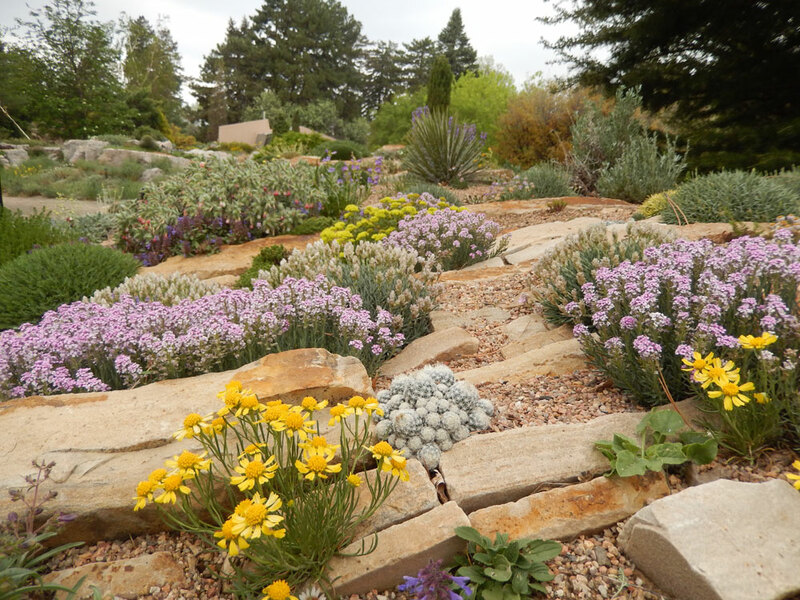 The collection has alpines from around the world with a focus on Western North America, European Alps, Central Asia and other semi-arid mountain ranges. 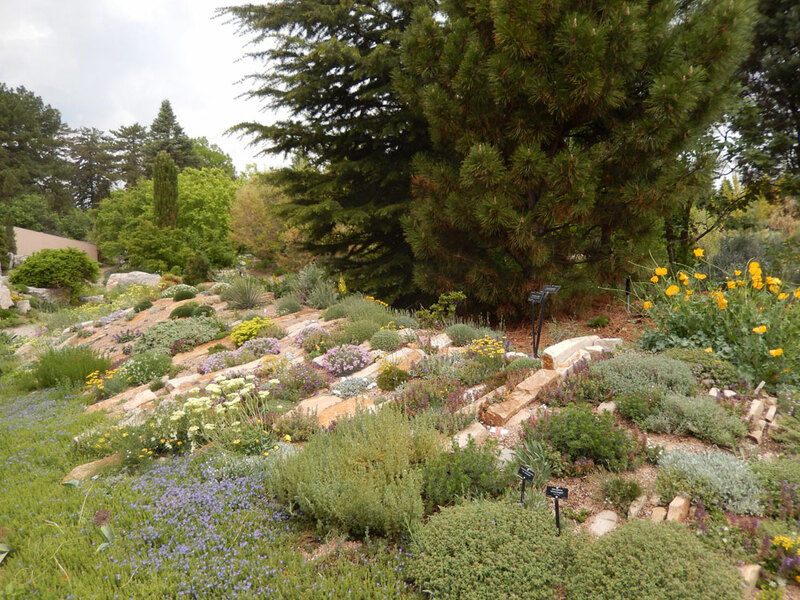 The garden has a large collection of traditional alpine genera such as Androsace, Dianthus, Draba, Primula and Saxifraga. It also has a large collection of chasmophytes such as Rosularia and Sempervivum species. 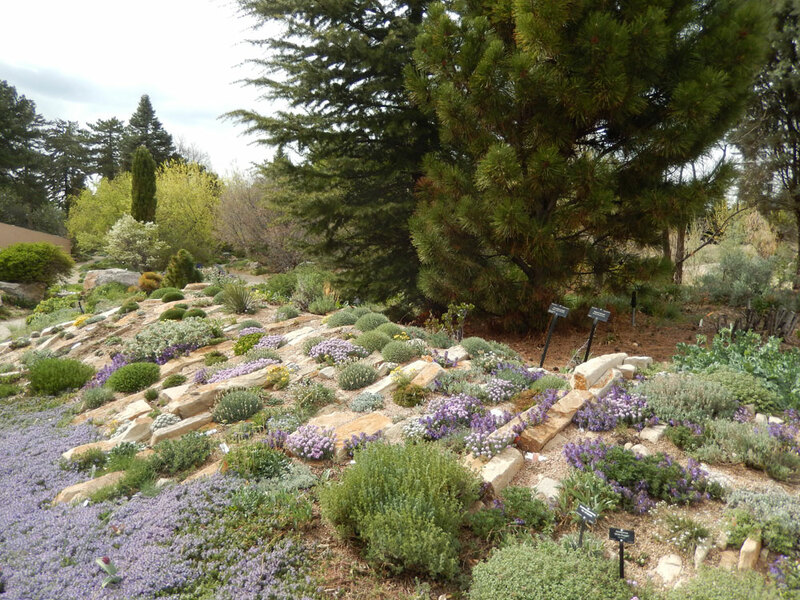 Facultative alpines are well represented with Acantholimon, Phlox and Thymus. Goals for the collection include increasing the collection of true alpines, chasmophytes and facultative alpines, especially with material of known wild origin.